Avoiding the holiday excess can be one of the hardest things you will do all year. 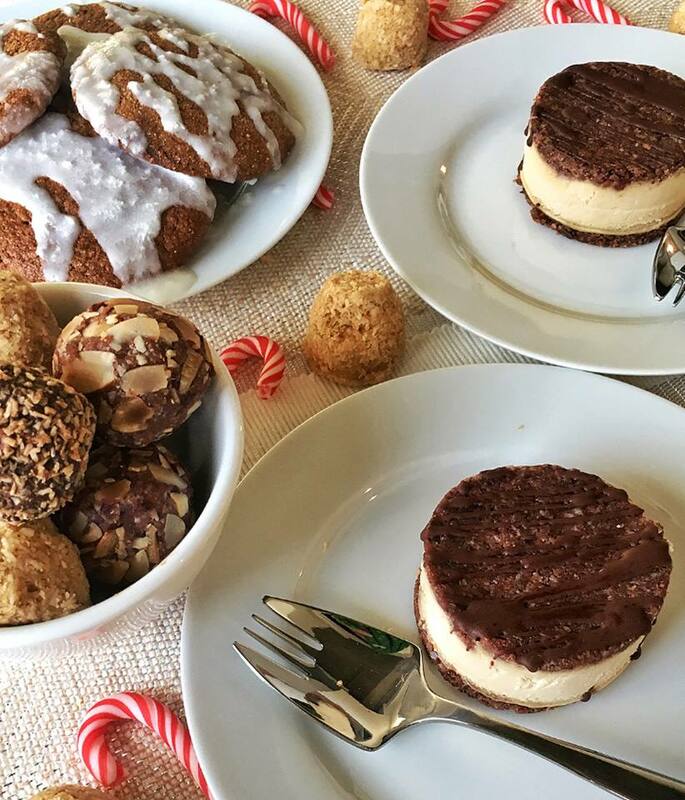 Seasonal desserts and dinners can be packed with refined sugars and unhealthy fats so we partnered up with @gastrawnomica from Victoria to show you what a healthy Christmas dessert spread could look like! What's in it? almond pulp, brazil nuts, cacao, cashews, coconut, dates, maca, Vancouver Island sea salt, vanilla. Benefits: Maca is considered an adaptogen which helps your body deal with stress and changing situations. It also helps with hormone imbalance. It is packed with healthy fats for heart health and brain health. Benefits: Gluten-free products are ideal for those with a gluten intolerance or celiac disease. These cookies are high in iron for brain function, oxygenation, and energy. They are also high in fiber, which is important for controlling blood sugar & lowering risk of disease. What's In it? Dates, cranberries, almonds, almond butter, chocolate (sugar, cacoa beans, cocoa butter, sunflower lecithin, vanilla), cashews, chia seeds, maple syrup, maca, vanilla, coconut(for rolling). Benefits: These bites are high fiber, which is important for controlling blood sugar & lowering risk of disease. These little bite are packed with ingredients that will boost your energy and are guaranteed to stop your chocolate cravings.